In a landmark Judgment, a Constitution Bench of the Supreme Court of India Today has categorically held that while multiple sentences for imprisonment for life can be awarded for multiple murders or other offences punishable with imprisonment for life, the life sentences so awarded cannot be directed to run consecutively. The Bench further clarified that such sentences would, however, be super imposed over each other so that any remission or commutation granted by the competent authority in one does not ipso facto result in remission of the sentence awarded to the prisoner for the other. The Constitution Bench was answering the following question referred to it, by a Three Judge Bench in view of the conflict between a series of Judgments on the point. The Bench comprising of Chief Justice TS Thakur and Justices FMI Kalifulla, A.K. Sikri, S.A. Bobde and R. Banumati also held that in cases where the Accused persons have been sentenced to imprisonment for different terms apart from being awarded imprisonment for life, the Court can, legitimately direct that the prisoner shall first undergo the term sentence before the commencement of his life sentence. The Court said that the logic behind life sentences not running consecutively lies in the fact that imprisonment for life implies imprisonment till the end of the normal life of the convict. After referring a catena of Judgments, the bench agreed that imprisonment for life is a sentence for the remainder of the life of the offender unless of course the remaining sentence is commuted or remitted by the competent authority. According to the Bench Section 31 under Cr.P.C. must be so interpreted as to be consistent with the basic tenet that a life sentence requires the prisoner to spend the rest of his life in prison. “Any direction that requires the offender to undergo imprisonment for life twice over would be anomalous and irrational for it will disregard the fact that humans like all other living beings have but one life to live. So understood Section 31 (1) would permit consecutive running of sentences only if such sentences do not happen to be life sentences. That is, in our opinion, the only way one can avoid an obvious impossibility of a prisoner serving two consecutive life sentences,” said the Bench. Also read The Mechanics and Philosophy of Section 31 Cr.P.C. and the questionable stare decisis in cases of life imprisonment. Interpreting S.427(2) CRPC, the Bench held that the power to award suitable sentences for several offences committed by the offenders is not and cannot be disputed. The order in which such sentences shall run can also be stipulated by the Court awarding such sentences. So also the Court is competent in its discretion to direct that punishment awarded shall run concurrently not consecutively. “ The question, however, is whether the provision admits of more than one life sentences running consecutively. That question can be answered on a logical basis only if one accepts the truism that humans have one life and the sentence of life imprisonment once awarded would require the prisoner to spend the remainder of his life in jail unless the sentence is commuted or remitted by the competent authority. That, in our opinion, happens to be the logic behind Section 427 (2) of the Cr.P.C. 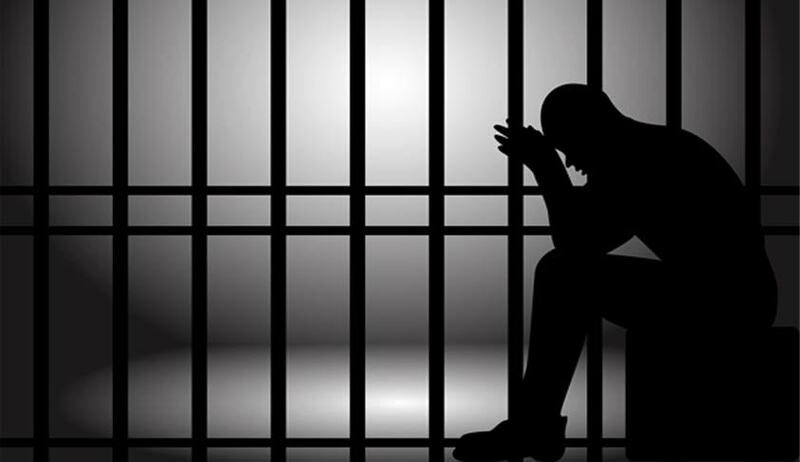 mandating that if a prisoner already undergoing life sentence is sentenced to another imprisonment for life for a subsequent offence committed by him, the two sentences so awarded shall run concurrently and not consecutively. Section 427 (2) in that way carves out an exception to the general rule recognised in Section 427 (1) that sentences awarded upon conviction for a subsequent offence shall run consecutively. The Parliament, it manifests from the provisions of Section 427 (2), was fully cognizant of the anomaly that would arise if a prisoner condemned to undergo life imprisonment is directed to do so twice over. It has, therefore, carved out an exception to the general rule to clearly recognise that in the case of life sentences for two distinct offences separately tried and held proved the sentences cannot be directed to run consecutively. The Bench held that Section 31 (1) must mean that sentences awarded by the Court for several offences committed by the prisoner shall run consecutively (unless the Court directs otherwise) except where such sentences include imprisonment for life which can and must run concurrently. The Bench has overruled the Judgments to the extent it held that life sentence can also run consecutively. Whether the Court can direct life sentence and term sentences to run consecutively?